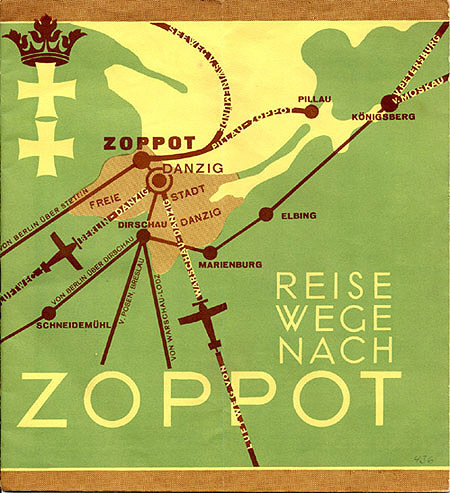 Travel brochure "Reise Wege Nach Zoppot," (How to Get to Zoppot), 1930. Published by the municipality. Signed "Beringer," printed by Oscar Brandstetter - Leipzig. Front cover.